What? 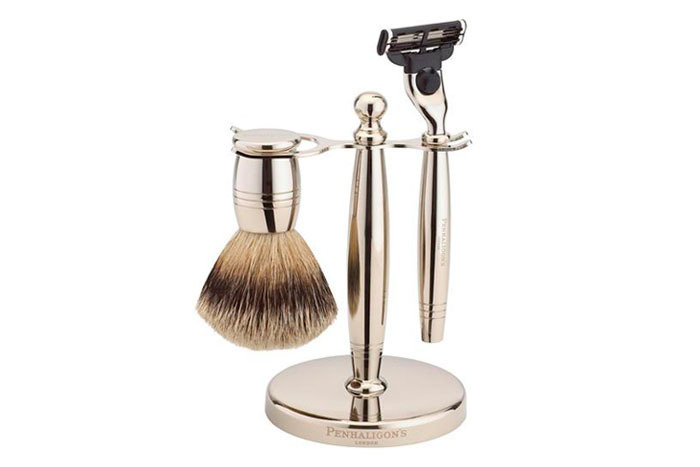 Lather up in style with Penhaligon’s traditional nickel shaving set. The two piece set, hand-assembled and finished in Sheffield, is comprised of a badger hair brush and a razor fitted with Gilette Mach 3 blade. Priced at £136.